Visit the Teavana website to print out this coupon good for one (1) **FREE** cup of tea for either yourself or a friend. The coupon is good for a 16 oz. 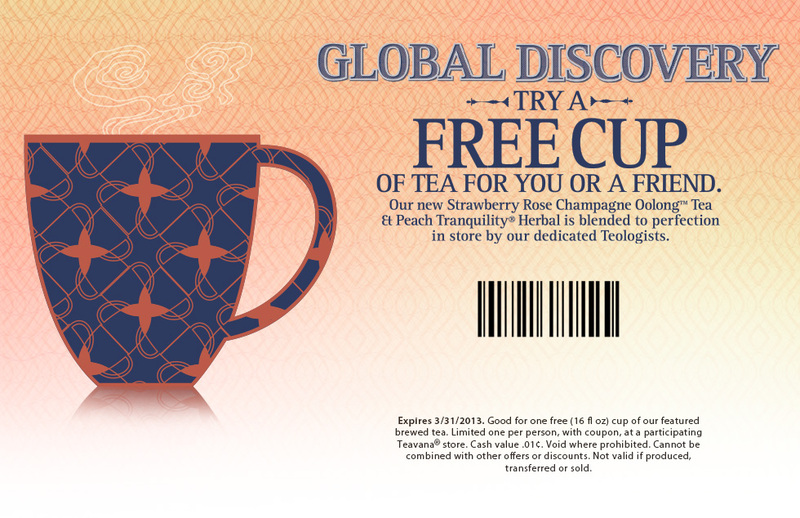 cup of tea and expires 3/31/13.